Insulated tote bag with removable, padded divider holds four bottles. 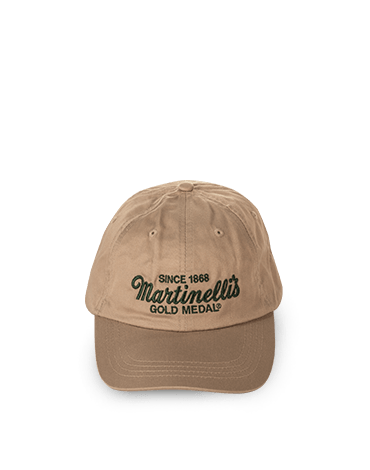 Large front flap pocket embroidered with Martinelli’s signature logo. 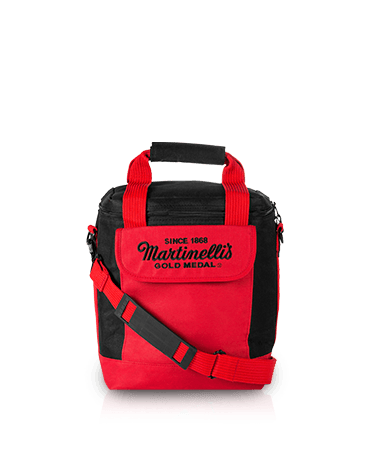 Made from water-resistant polyester with padded web handles and detachable shoulder strap for easy carrying. 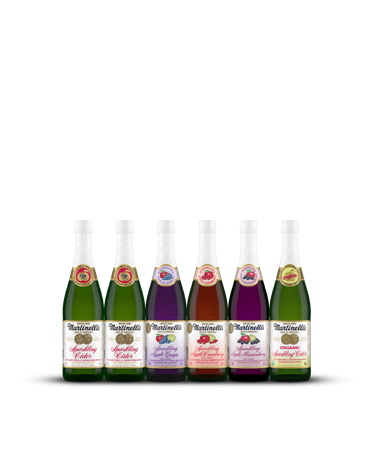 Comes filled with two bottles of Martinelli’s Sparkling Cider, one Sparkling Apple-Cranberry and one Sparkling Apple-Grape.